The historic park is three miles north of St. Helena (3369 N St.) on Highway 29. 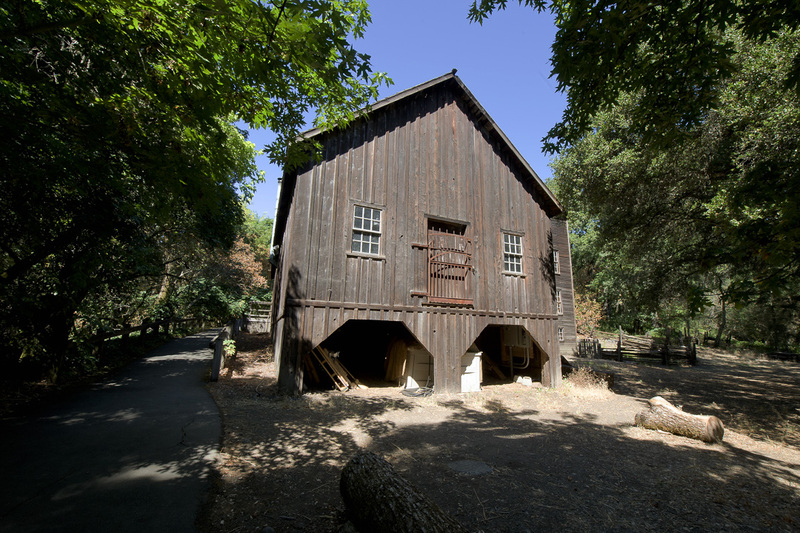 The gristmill and granary were built with local materials, Douglas firs and coast redwoods. Some timbers were cut to length with the bark left on, while others were roughed out with hand tools. The timbers were notched and held in place with wooden pegs as well as nails and screws. The foundation of the structure is native stone. 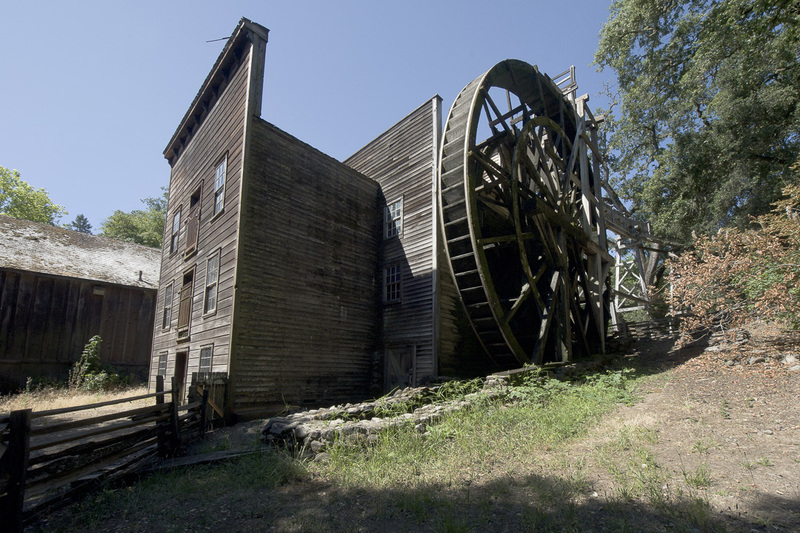 The mill was powered by a waterwheel, with water diverted from Mill Creek nearby. A ditch carried the water from a millpond to a wooden flume, which brought the water to the top of the waterwheel. 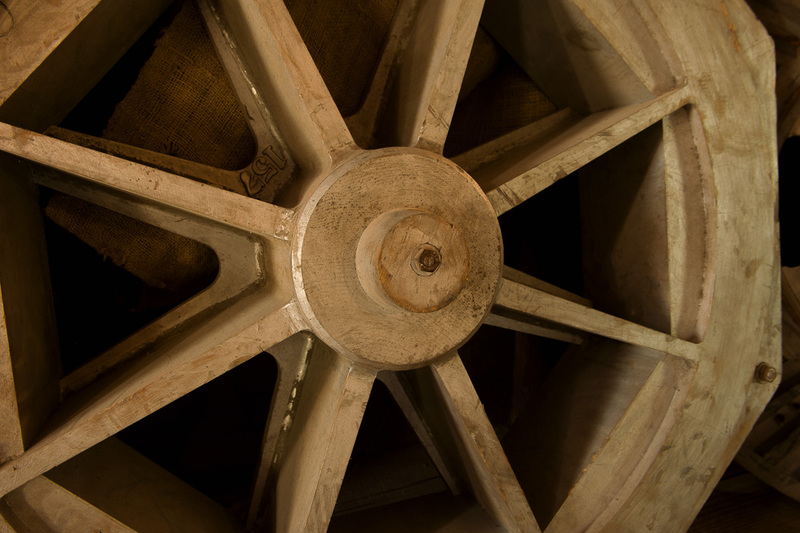 The first wheel did not provide enough power during dry summers and was replaced by a larger one, similar to the one at the mill today. 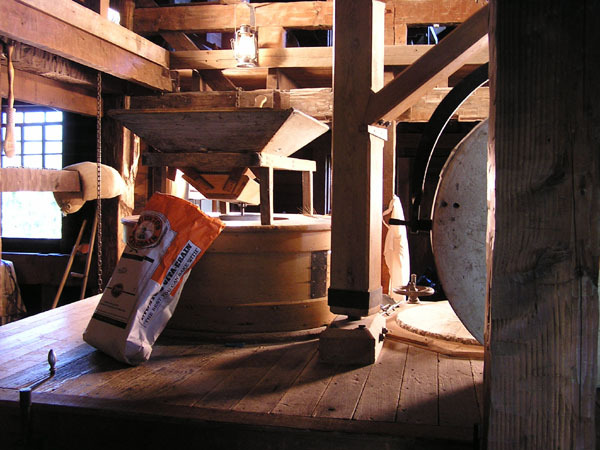 Farmers brought grain to the mill where it was placed into the boot of an elevator to be mechanically transported upstairs where it was cleaned by various types of equipment. The slow turning of the old grind stones and the dampness of the mill's site gave the meal a special quality for making cornbread, yellowbread, shortening bread and spoon bread. As old timers put it, "When meal comes to you that way, like the heated underside of a settin' hen, it bakes bread that makes city bread taste like cardboard." 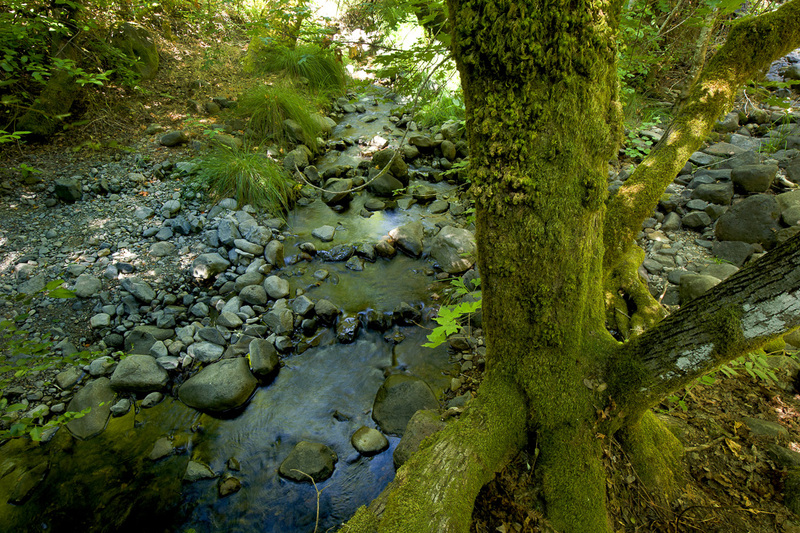 Visitors can hike from the mill on the historic trail to Bothe-Napa Valley State Park, which features extensive picnic facilities and a number of trails. 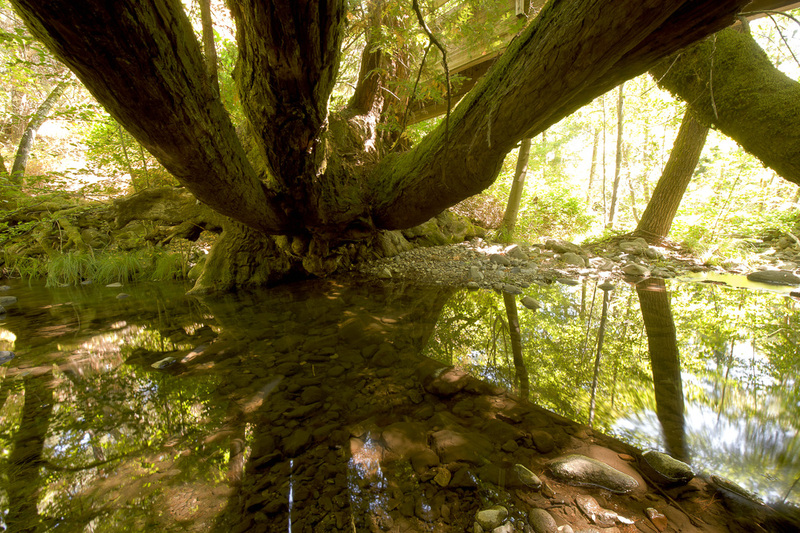 The round trip hike from Bale Grist Mill State Historic Park to Bothe-Napa Valley State Park is approximately two miles. 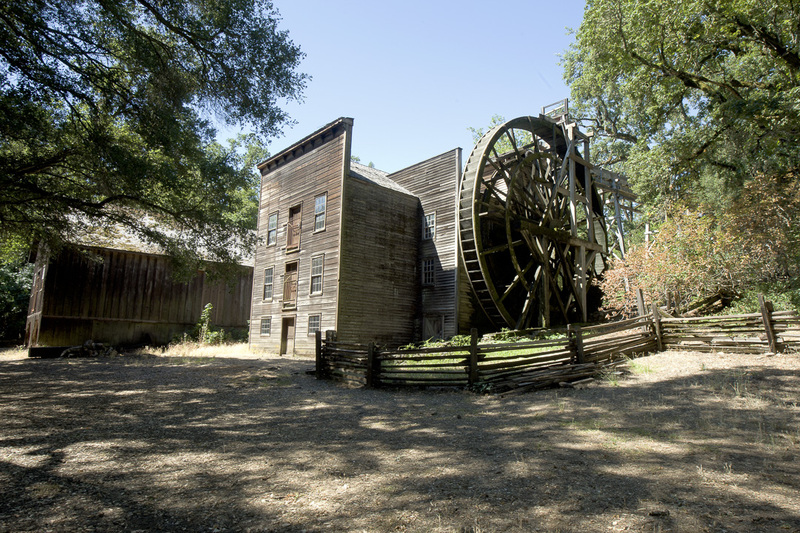 Milling demonstrations and historic tours are offered on weekends. School tours are available by reservations on Wednesdays and Thursdays only at a cost of $100.00 per class. Reservations are made via info@napavalleystateparks.org. The park is open on the Monday holidays of July 4 and Memorial Day. The park is closed Thanksgiving, Christmas and New Year's Day. Please call the park prior to visiting.